You’ll be enchanted by the beauty of the landscapes of the Provencal Drôme region! With its stone houses, bright blue lavender fields, vineyards for as far as your eyes can see, tranquil rivers, majestic olive trees, Mediterranean climate (the sky is nearly always blue thanks to the Mistral wind), the Provencal Drôme region really has it all. Breath in the smell of nature, enjoy the lulling sound of the cicadas singing and… relax! Welcome to Provence, a territory situated right at the foot of the Mont Ventoux, easily accessible from the A7 motorway and N7 road between Montélimar et Avignon. Situated tight in the middle of the region, you can easily travel around Suze la Rousse to wander the region all day. The prestigious castle, former property of the princes of the town of Orange and classified as a historic monument, sits on its rocky promontory at the heart of the vineyards of the Côtes du Rhône. It overlooks the stone houses of the old medieval village at the foot of the castle walls, and is now home to the Wine University. The surrounding landscape is typical of the Provencal Drôme region and is home to the top-range campsite of Suze Luxe Nature, along the river Lez. The old fortified town of Saint-Paul-Trois-Châteaux still has some well conserved rampart remnants. Don’t try to find three castles, you won’t find any! The name is derived from a translation mistake. Under the Roman Empire, the town was called Tricastinorum, which was then translated as Tricastin before becoming Trois Châteaux (“three castles” in French). Before visiting a real castle, plan a detour (we promise you won’t be disappointed 😉 ) through the authentic medieval villages of Saint-Restitut and La Baume-de-Transit. On your way to Suze-la-Rousse, you can admire on the horizon the beautiful castle of Sure-la-Rousse on its rocky promontory, remarkably preserved. It is home to the Wine University and a museum dedicated to the history of wine and vines. Drôme Sud Provence is made up of 14 municipalities whose rich historical past doesn’t go unnoticed. 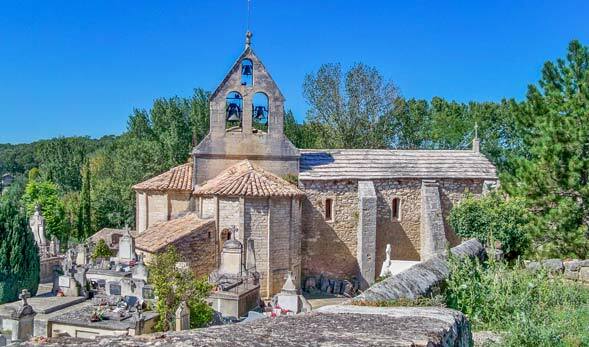 No one is left indifferent at the sight of Southern France’s typical villages. 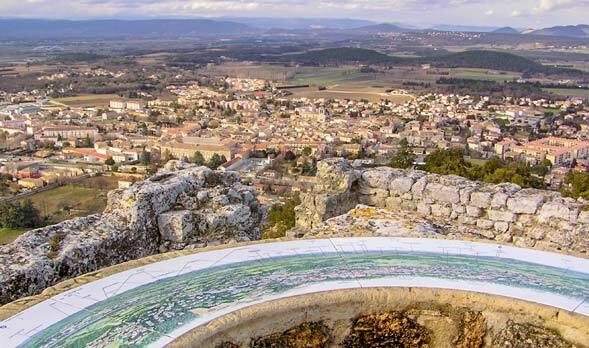 Don’t forget to visit the charming hilltop villages of La Garde Adhémar, classified as one of France’s most beautiful villages by the “Plus Beaux Villages de France” association, and Clansayes, offering you a unique panoramic view of the Rhône Valley. At the crossroads between Provence and the French mountains, the territory of the provencal Baronnies will appeal to all nature lovers. Visitors come for all over to enjoy the way of life down here: the South, the heat, the olive trees, the cicadas, and the lavender fields! Between southern pre-Alps and the Mont Ventoux, the Baronnies are located to the East of the Provencal Drôme region and encompass municipalities such as Nyons, Rémuzat, Montbrun-les-Bains, and Buis-les-Baronnies.